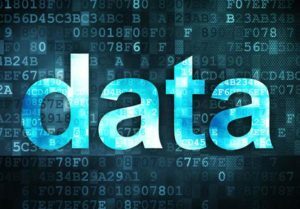 On this last trading day of the week the market has a full plate of data to chew through this morning. 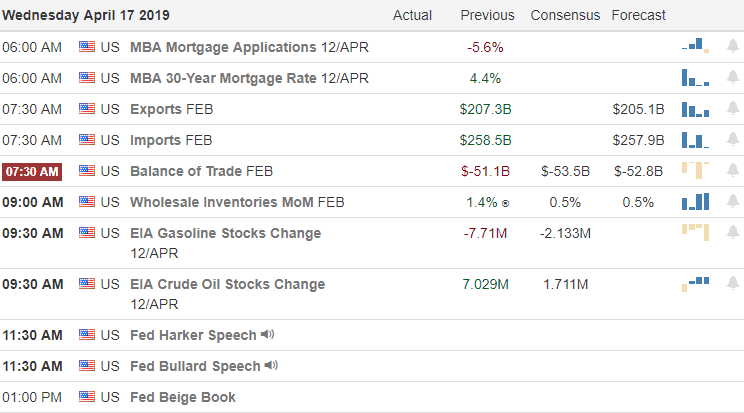 Not only will this be the biggest day of the 2nd quarter earnings season so far but we also have several potential market-moving reports on the economic calendar before the open. 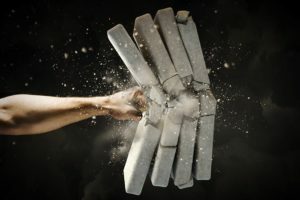 Then, shortly after the open, Attorney General Bar releases the Mueller Report that’s likely to trigger a firestorm of political spin and media speculation. As the market digests all the morning reports it will also need to consider the risk of the 3-day weekend ahead. I will not be at all surprised if the volume becomes very light and choppy as we head into the afternoon as traders head out to take full advantage of this 3-day spring getaway. Our full plate will continue next week as earnings season ramps up with more than 700 companies expected to report. Carefully pan your risk and have a great weekend everyone! We have 75 companies reporting earnings on this last trading day of the week due to the Good Friday Holiday. Notable reports, ALLY, AXP, BBT, BX, CHKP, CFG, DHR, DOV, GPC, HON, ISRG, KEY, MAN, PM, RF, RCI, SLB, SKX, SNA, STI, SYF, TSM, TRV, UN & UNP. Futures appear a bit sluggish as we head into a big of data before and a 3-day weekend. First we the biggest day of earnings reports so far this season and a busy economic calendar with Jobless Claims, Philly Fed Bus. Outlook and Retail Sale all coming out at 8:30 AM Eastern. If that were not enough, Attorney General Bar will release the Mueller Report this morning that is likely to trigger a firestorm of political spin. Asian markets closed in the red across the board last night and European are currently showing mixed results after a disappointing manufacturing report. Although US Futures have rallied from overnight lows they are still pointing to slightly bearish open as I write the morning note. Don’t be too surprised to price action become light and choppy after the morning hubbub as traders and investors head out early to take full advantage of the 3-day weekend. With the market continuing to struggle against the all-time resistance levels consider the risk carefully you carry into the long weekend. I wish you all a great day of trading and a wonderful Good Friday holiday weekend! With a positive US/China Wall Street Journal report, the CVX buyout of APC, Uber IPO filing, Disney’s new streaming service and the kick of 2nd quarter earnings US futures are finally shaking off the doldrums that plagued price action all week. Of course a lot could still change but as I write this the US Futures are pointing a gap up open of more than 150 points. 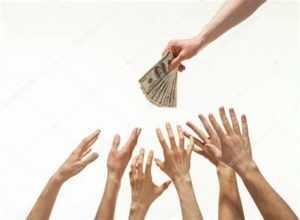 As the big bank earnings roll in and investors listen in on conference calls expect some price volatility to occur throughout the morning as we head toward the open. It would be wise to remember that all the indexes still have price resistance above and the risk of chasing this morning gap into resistance need careful consideration. After such a long week of choppy price action it’s easy to get caught up in the excitement and feel the fear of missing out. Remember this is just the first day of 2nd quarter earnings there will be more than enough opportunity to come so there is no need to rush. 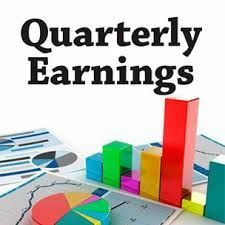 We have a light day on the Earnings Calendar but with only 14 companies reporting but we have a few heavyweight reports kicking of 2nd quarter earnings season. Notable reports JPM, INFY, PNC, WFC. US Futures are very happy this morning even before the big bank earnings have begun. First the Wall Street Journal reported positive comments on the progress of the US/China trade deal raising hopes of completion. Then Chevron announced it was buying APC in a 33 billion dollar deal. In other news the market seems to like is the streaming service set to launch in November by Disney and the Uber IPO filing release. Asian markets closed mixed overnight and European markets are only modestly higher as investors deal with another round of growth concerns. As I write this the JPM just reported a top line beat on earnings and the futures are pointing to more than a 150 point gap up at the open. Remember a huge gap like this opens the door for a possible pop and drop pattern so don’t get caught up in the morning excitement chasing the open. Let’s wait and see if buyers support the gap and keep in mind sentiment can change during a companies conference call. Today is profit Friday so those holding long positions may want to consider the morning gap as a gift and ring the register. As this is just day one of 2nd quarter earnings consider the carefully the risk you carry into the weekend. With that in mind I wish you all great profits today and a wonderful weekend! Not event he FOMC minutes was able to shake the market out of its pre 2nd quarter doldrums. There are a lot of great looking bullish chart setups but with the overall market chopping sideways they’re finding it very difficult to attract enough buyers to get them moving. Unfortunately today is likely to be very much the same as we wait for some of the big bank earnings Friday before the bell. The question is will they inspire the bulls, embolden the bears or will the doldrums continue? Anything is possible. Technically the indexes are bullish with the SPY and QQQ in the lead while the DIA and IWM lag behind. I’m comfortable holding current positions but I’m finding it difficult to add new risk in such choppy price action. It’s very easy to overtrade a dull market and wake up the next morning to find the market moving sharply against your positions. When the overall market is showing cautious price action that may be a clue we should be doing the same. 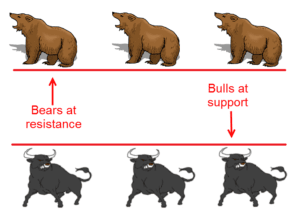 Be patient and avoid predicting and wait for the price to show us the way. We have only 12 companies reporting earnings today with FAST and RAD likely the most notable. Not even the FOMC minutes could break the market out of the choppy price action we’ve experienced this week. Oddly enough there are a lot very good looking charts setting up good entry patterns if only the bulls could find the inspiration. Asian markets closed mixed but mostly lower overnight. European markets are basically flat this morning after the decision to grant a 6-month extension to try an obtain a Brexit deal by October 1st. Here in the US future are edging higher this morning but with light economic and earnings calendars it will be difficult to find inspiration. The SPY and the QQQ continue in bullish patterns, holding above support levels and maintaining the trend. At the close of yesterday the QQQ’s seem the most likely candidate to attack the all-time index highs. With BA moving lower to test a critical level of price support the DIA is still doing a good job of holding support and IWM continues to lag as the weakest index. As we wait for the big bank earnings on Friday morning, I’m expecting another day of choppy price action. 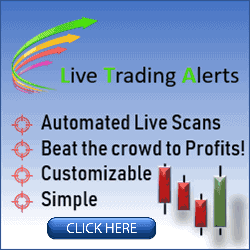 Although there may be lots of great looking charts be careful on to overtrade. Although the Dow shed 190 points yesterday the SP-500 and the NASDAQ stood resolute and well defended by the bulls. Even with the IMP once again cutting global growth forecasts last night, the futures are pointing to a bullish open this morning. Asia closed mixed but mostly lower due to growth concerns but European markets appear largely unconcerned as they wait for an ECB rate decision and Brexit summit. Technically speaking the SPY and QQQ continue to look very strong holding support levels and trend. Though the DIA and IWM found some sellers yesterday the bears have not shown much conviction. After the morning rush doesn’t be surprised to more light and choppy price action as we wait for the FOMC minutes this afternoon. We have a light day on the Earnings Calendar today with just 11 companies reporting. Notable reports include DAL before the bell and BBBY reporting after the close. 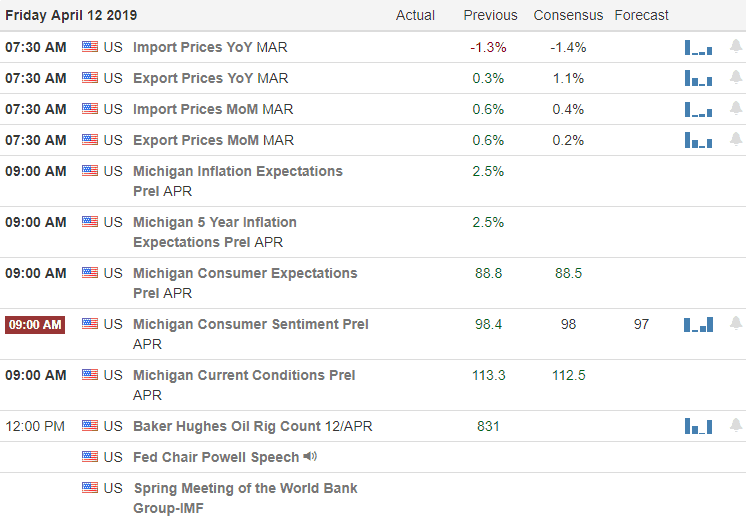 During the evening the IMF once again cut global growth forecasts getting a negative reaction lower by Asian markets closing mixed but mostly negative. European markets however are slightly higher ahead of ECB rate decision and a Brexit summit. US Futures currently seem unconcerned about the IMF report this morning pointing to bullish open ahead of the CPI report and release fo the FOMC minutes. Although the SPY and QQQ closed lower yesterday there has been on technical damage as they continue to hold supports and trend. Although the DIA slipped back below a level of resistance yesterday the bears seemed to lack downside conviction. The IWM remains the weakest of the indexes leaving behind a possible failure pattern at price resistance. I would not be at all surprised to more light choppy price action today as the market waits for the FOMC minutes and the kick off to 2nd quarter earnings on Friday. Although the SPY eked out a 22 cent gain for an 8-day winning streak it’s overall looking for inspiration. The DIA lost 94 cents, the QQQ gained 47 cents and the IWM slipped 26 cents in a day of pensive price action. Perhaps it’s waiting for the FOMC minutes that will be out Wednesday afternoon but with the fed not planning to raise rates this year it may be difficult to find inspiration there. We may have to sit through light and choppy price action until Friday when the big back kick off the new earnings season. Futures are pointing to flat open after rallying off the overnight lows. Asian markets closed mixed but modestly higher overnight on the back of rising oil prices. European markets are flat this morning after the president threatened new tariffs due to Airbus subsidies that may be ruled illegal. It’s very easy to become bored and over-trade a dull market. The market has provided some great profits over the last three months don’t give them back as the market wanders looking for inspiration. On the Earnings Calendar we have just over 20 companies reporting earnings today. Notable reports include PSMT,SJR & WDFC. Although the DIA closed down yesterday the SPY managed an 8th straight day of gains with a bullish push in the last 10 minutes of the day closing up 22 cents. The QQQ managed a 47 cent gain while the IWM slipped 26 cents. That’s the price action of a pensive market waiting for some kind of inspiration. Today looks to be another dull day with the US Futures currently flat having rallied off of the overnight lows. 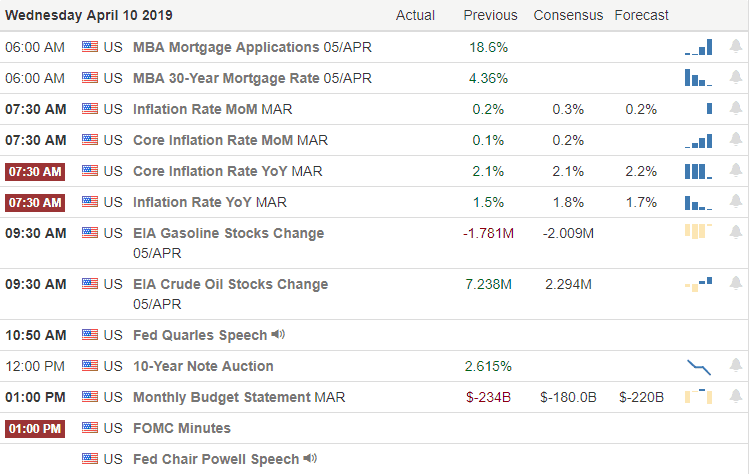 With today’s light economic and earnings calendar we may have to wait until the release of the FOMC minutes on Wednesday afternoon to find a catalyst. However with the FOMC planning no rate increase this year even that news could be uninspiring. 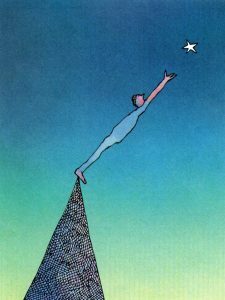 With the new concerns raised on earnings growth we may have to wait until Friday’s big bank earnings to find that spark. 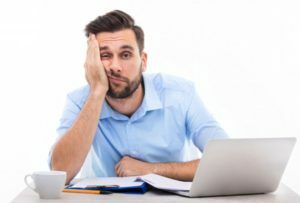 When the market is dull it very easy for traders to become bored and over-trade a dull market. Trading just to have something to do is bad business. We’ve made great profits in the last few months so let’s not give them back over-trading a dull market. A report suggesting we could have a challenging 2nd quarter earnings season dampened the bullish sentiment this morning. Asian markets closed mixed but mostly lower and European markets are seeing flat and mixed markets this morning. Currently the Dow futures are pointing to a gap down of about 75 points while the SP-500 and the NASDAQ futures are flat to modestly lower. 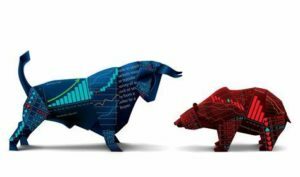 With a challenging 2nd quarter in mind and a relatively light economic calendar this week we could unfortunately experience some light and choppy price action this week as we wait. On Friday the 12th we get reports from JPM, PNC & WFC followed by C and GS Monday the 15th. We will have a little excitement this week with the CPI report and the FOMC minutes on Wednesday. Interestingly enough we have around 50 companies showing up on the Earnings Calendar today but there is only handful that are confirmed reports so far this morning. Looking through the list there is none that are particularly notable. During the evening futures were looking bullish on continued hopes of a trade deal but this morning they have taken on bearish attitude. Asian market closed mixed but mostly lower and European markets are mixed and currently flat. It seems as if the market is now suddenly worried that 2nd quarter earnings will not support current prices. Analysts have lowered earnings targets significantly. According to a report the expectation was for about a 3% growth in earnings but now their thinking it could be down 4%. If the analysts lower the targets enough and the company tops the estimates the market could still go higher in this silly game. However, if a large group of companies misses the lowered targets then this could be a very challenging upcoming earning season. Friday the 12th we will hear from JPM, PNC and WFC followed closely by C and GS Monday the 15th to set the stage. 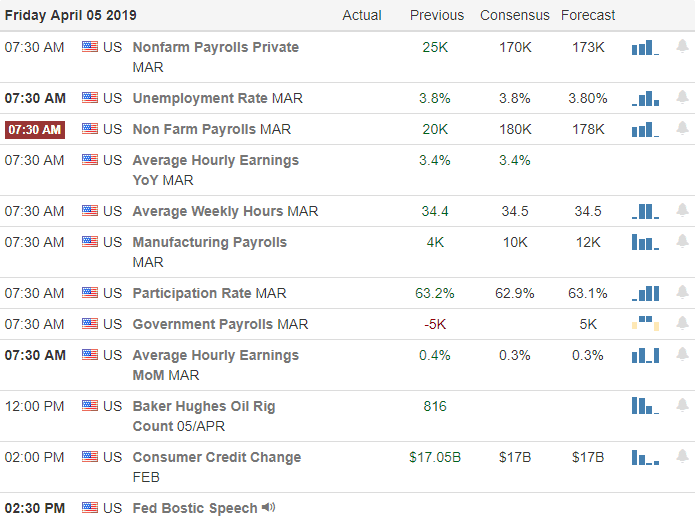 US Futures are pointing to positive open ahead of the Employment Situation number at 8:30 AM Eastern and learning a trade deal with China could happen in the next four weeks. Yesterday the bulls appeared to have little concern about the deal with the DIA confidently breaking through price resistance catching up with the SPY and QQQs already above key levels. Even the IWM joined in with bullish day although still below previous highs. The bulls now have a clear path to test all-time market highs and perhaps set new records assuming support levels hold. Profits have been pretty easy to come by this week but don’t let greed prevent you from taking at least some of those to the bank before the weekend. 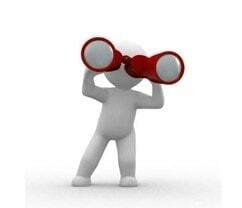 Through bulls may have their eyes on new market highs we never know what the future holds. 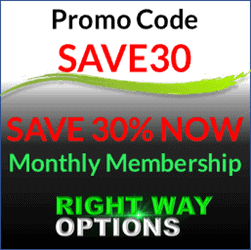 Profits today can be gone on Monday so plan your risk carefully into the weekend. We only have eight companies reporting earnings today with none that are particularly notable. I must admit that yesterday turned much better than I expected as we waited to hear news about a trade deal with China. The bulls appeared to have total confidence of a positive outcome providing another nice day of gains rather than the consolidation I was expecting. 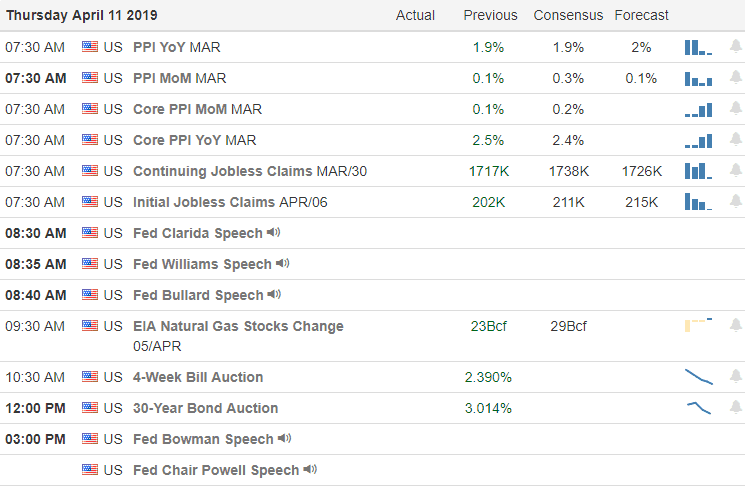 More than that it appears the bulls have more upside energy this morning with futures pointing to bullish open ahead of the Employment Situation report. The consensus is expecting a nice rebound in the employment number to 170K after last months disappointing reading of just 20K. Yesterday’s price action was also a big day the market on a technical basis with the DIA breaking through resistance with the SPY and QQQ proving to hold strong above new supports. Even the IWM got with program putting in a bullish day though still a lower high at this point. It’s been a great week of gains and as we head into the weekend its wise to remember your trading plan and goals, taking profits as necessary. I wish you all a great weekend.